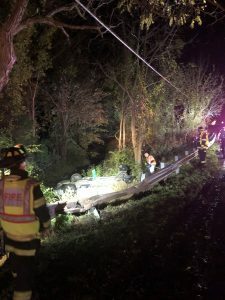 On October 18th, the members of the GTFD were dispatched for a one car motor vehicle accident with no reported injuries. 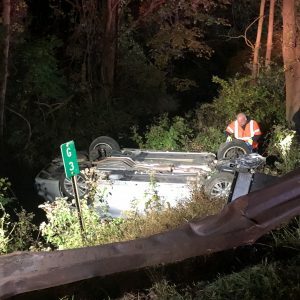 Upon arrival of 95-2, he reported one vehicle off the roadway into a culvert with both occupants out of the vehicle. 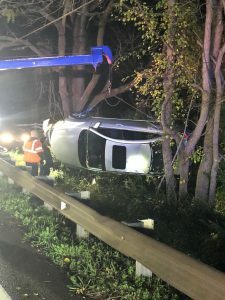 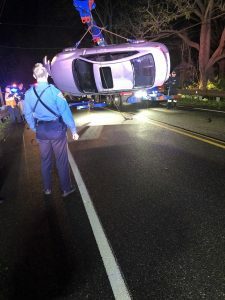 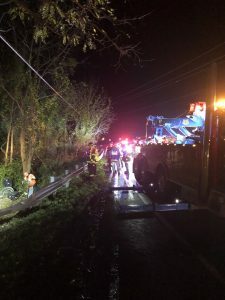 Due to the location of the vehicle, it became an extended operation while the tow company attempted to remove the vehicle.